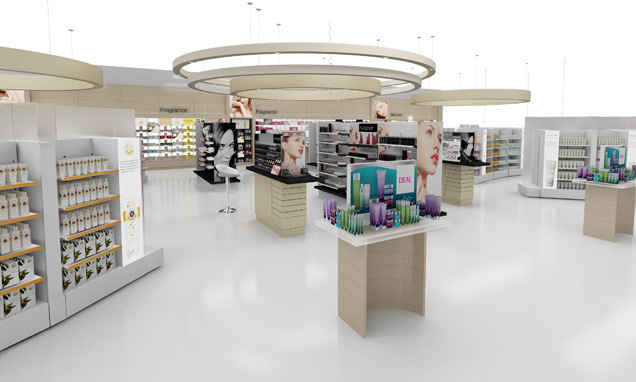 It seems retailers can’t get enough of beauty at the moment – following my recent articles on Marks and Spencer’s new beauty hall and BeautyMART at Harvey Nichols, along comes the launch of Beauty Bazaar, Harvey Nichols. Set to open in late autumn 2012, Harvey Nichols has gone all-out crazy for beauty and dedicated a whole stand-alone store to its Beauty Bazaar, spanning a whopping 22,000 sq ft over three floors. With the aim of ‘redefining luxury beauty and being the antidote to the commoditisation of beauty’, Beauty Bazaar, Harvey Nichols will be a one-stop-shop for your every beauty need – and then some. 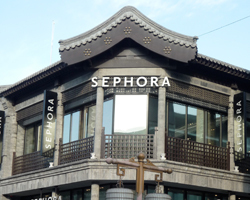 The ground floor will be packed to the rafters with more beauty products than you can shake a stick at, including the usual suspects such as Chanel, YSL and Crème de la Mer as well as new and niche beauty brands. Step on up to the first floor and you’ll find a whole host of beauty treatments on offer from pedicures to brow bars and everything in between. It will also be home to a Champagne and Cocktail Bar which hopes to become a destination in its own right. The second floor is committed to privacy to ensure comfort for more discreet treatments such as waxing and tanning and a range of high-tech medi-treatments. Although concept stores of this nature usually launch in London, Beauty Bazaar, Harvey Nichols is actually debuting in Liverpool. While this makes it harder for some to be able to get to with ease, I’ve heard on the grapevine that other Beauty Bazaar stores will follow across the UK. 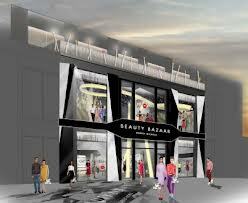 What do you think about the Beauty Bazaar, Harvey Nichols concept store?